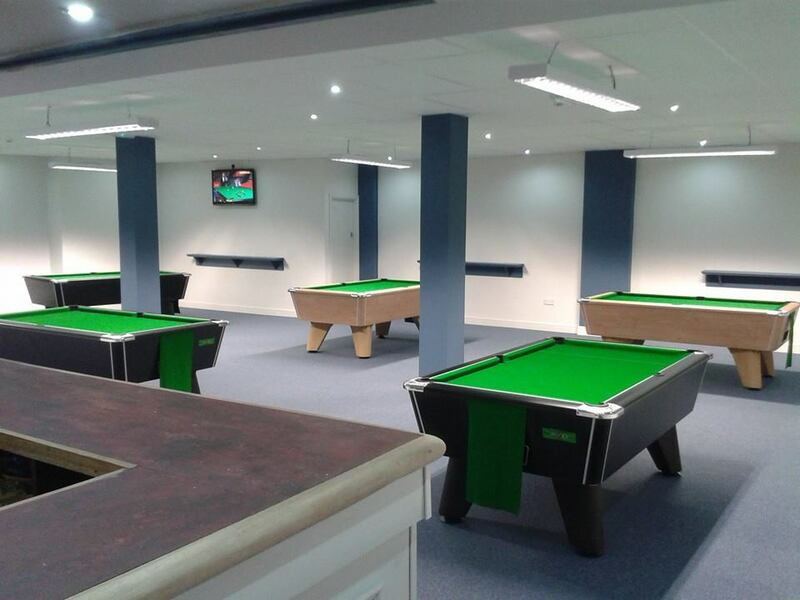 As of April 2014 Cueball Derby are proud to have a brand new purpose built pool hall with 4 black and 2 oak supreme winner pool tables, along with 3 flat screen TV's to make sure you never miss the sport. 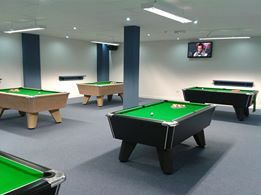 W e also have an additional 4 pool tables in the main bar area. 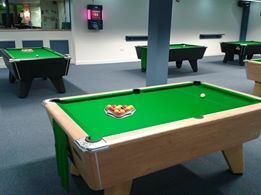 All 10 pool tables are equipped with Strachan 6811 tournament cloth to ensure you have the best possible playing conditions. Members and guests welcome, with members also able to take advantage of our table and bar offers. 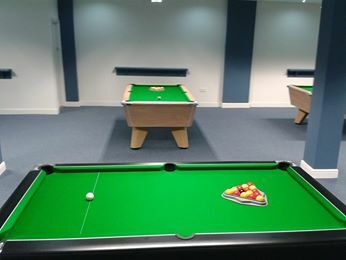 Our match table has a live TV stream installed and regular team events and challenge matches are broadcast on our TV channel. Click on the Live Stream link to see whats coming up on Cueball TV! To book a table please call 01332 360 924.